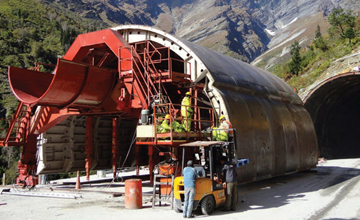 The Rohtang Tunnel is being built under the Rohtang Pass in the eastern Pir Panjal range of the Himalayas on the Leh-Manali Highway. 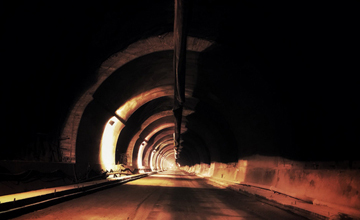 With a length of 8.8 km, this tunnel is one of the longest road tunnels in India, the longest being the Chenani-Nashri Tunnel north of Udhampur. 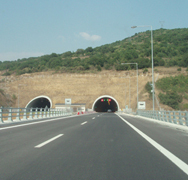 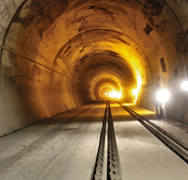 This tunnel is expected to reduce the distance between Manali and Keylong by about 60 km. 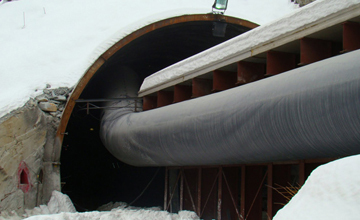 The tunnel is at an elevation of 10,171 ft whereas the Rohtang pass is at 13,051 ft, 51 km away from Manali. 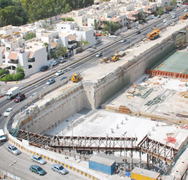 Encardio-rite was awarded the contract for the instrumentation and monitoring work. 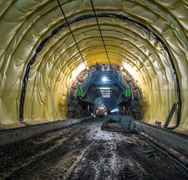 They joined hands with Amberg Technologies AG, Switzerland to offer services for tunnel seismic profile measurement in India. 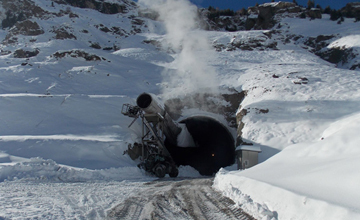 Encardio-rite has successfully completed about five tests for the Rohtang Pass Highway Tunnel in India.